The Motorola E3 power was available at a price of INR 6,999 when it launched. Complete with a 5.00-inch touchscreen display and a resolution of 720 by 1280 pixels, it was another entry into Motorola’s budget series. The E3 Power was backed by 2GB of RAM, a 1Ghz quad-core processor, 16GB expandable storage (upto 32Gb with a micro SD card) and a removable 3500mAh battery. While most smartphones in its category were switching to a metal body or finish, the Moto E3 power with a plastic back could look flimsy in one’s hand. 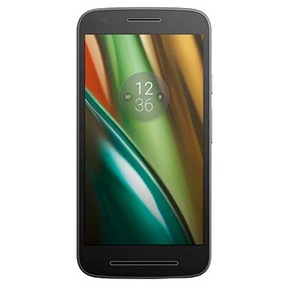 Additionally, even though Motorola has always promised good specifications, it is not the case with this device. The 2 GB of RAM is low by any standards today, while 1 Ghz processors seem to have all but disappeared from smartphones. However, if you’re looking to sell your old used Moto E3 power, rest assured you’ll still get a good price for it. Why Sell Your Old Moto E3 Power On Cashify? Cashify is the ideal option to sell your old Moto E3 Power, or sell any mobile phone online for that matter. Its automatic pricing mechanism is the leader in the market, with the mechanism generating the best, most fair price for your old smartphone. The platform is solidly backed by its exclusive partnerships with smartphone giants like Xiaomi, OnePlus, and even Apple. Just head over to Cashify’s website and type in the model of your phone. 1. Cashify’s automated, transparent pricing mechanism will need you to enter in some details about your old smartphone – its model, warranty, condition etc..
2. On the basis of the specifications shared by you, the platform generates a fair price for your old phone. Once you accepts the price, it arranges a doorstep pickup and payment..
3. Cashify prioritises customer comfort above all else - one of our agents will come to your doorstep to pick-up your old phone, and make payments in any method of your choice - such as cash, cheque, or even e-wallets. It has been a considerable amount of time since the launch of Moto E3 Power. However, it can still fetch you a good value with platforms like Cashify. Of course, this would be true if you’re looking to sell any old phone too!